By now, many will have come across the term “Faustian pact,” a term that refers to a bargain in which an individual trades in his integrity and soul for personal gain, or essentially selling “what someone is” for what someone wishes to become. Аccording to a well-known German legend of the 16th century, Dr. Faustus, аn esteemed scientist, traded in his moral values and spiritual self to meet his cravings for higher knowledge and power. Goethe in his tragic play, Faust, took another approach and by inverting the legend, presented a scenario where there is not a bargain but a wager between the scientist who lost all meaning in his life and Mephistopheles (Mephisto), the Devil himself, who promises to provide him with meaning on the condition that when he succeeds, he then agrees to forever be his servant. No matter the approach, the core of the story inherently remains: man strikes a deal, depriving himself of a future with the sublime gift of free will in it, to make the future he yearns for, his present. There are countless scenarios of individuals we know, knew, or merely mentioned in history, who instead of building a “whatever it takes” road toward their dreams and desires, willingly chose the “no matter the cost” shortcut to reach their goals, thus skipping the walk on that road altogether. For “God help us—art is long, and life so short” –Johann Wolfgang von Goethe, Faust. A Tragedy. The story takes us to the 1930s and the Deep South. 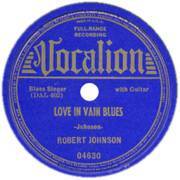 Legend has it that Robert Johnson, the King of the Delta Blues and the very first rock star, did just such a thing. As a young man from Mississippi, aspiring to be humanity’s greatest ever guitar player, and desperate because he didn’t feel he was even close, Johnson apparently met Satan at a crossroad where he offered his soul in exchange for extraordinary talent, and ultimately an exit from his pitiful life. His talent was indeed extraordinary, as his legacy of 29 songs recorded in no more than a year attest, as well as the high praise he earned years later from names such as Eric Clapton, Muddy Watters, Bob Dylan, and Keith Richards among the many others. With his life shrouded in mystery, his early death at the age of 27, and the content of the songs he wrote, the myth of Johnsons’s alleged deal has only grown. Johnson was one of 11 children. At a young age, he was fascinated by music and perhaps saw it as a potential way out of his hard life as a lonely adolescent African-American living in the South in the very thick of the Great Depression. 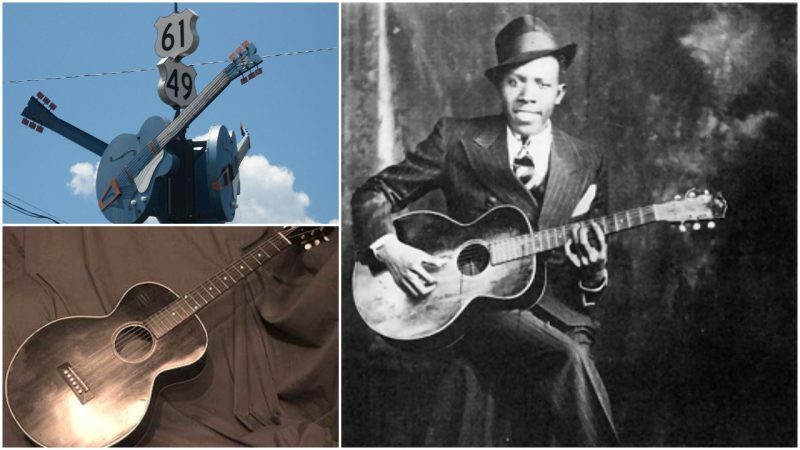 His death brought intriguing questions as to exactly how he managed to write one of the most influential blues songs in music history and become an icon for decades after. With a lack of facts regarding his life, his story was mostly joined together by fascinated individuals collecting hearsay stories from the cities in which he performed and through the subjective interpretations of his lyrics. The lyric “I went to the crossroad, fell down on my knees, I went to the crossroad, fell down on my knees, Asked the Lord above ‘Have mercy now, save poor Bob if you please'” — over time, has become a symbolic representation of a sinful man asking forgiveness for selling his soul to the devil. It certainly makes sense, doesn’t it? How could he possess such a talent? How could a boy attract such vast crowds from all around, on every street corner from his home town Hazlehurst in Mississippi, through to Chicago and all the way to the border of Canada? Only by moving his fingers and slightly opening his lips? How? Surely, it couldn’t be hard work and dedication? it must be something else! It must be the devil’s work. These must have been the first thoughts that came to the minds of many when they witnessed the shy and often times withdrawn boy playing out of nowhere like that. Thus, a legend was born. 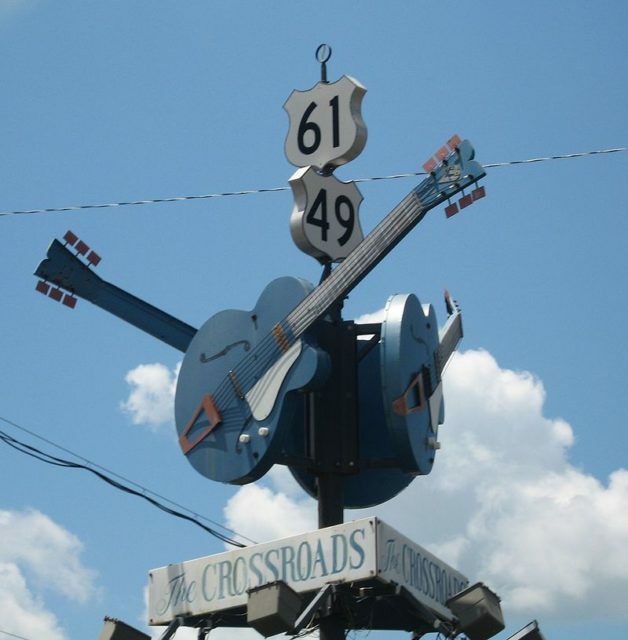 A legend about a boy with a harmonica as his only friend and a guitar he was unable to play, a boy so fed up with his lonely life, he took his guitar to the intersection of Highways 49 (“The Blues Highway”) and 61 in Clarksdale, Mississippi, to ask the Devil to fine-tune it and give him a way out of his misery. For there were no hashtags, no Youtube or Instagram, and nobody saw him learn. 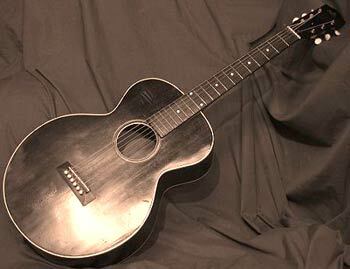 Conveniently enough, as it goes, the Devil took the guitar of young Johnson, turned his sorrows into the unique voice now much admired, and scorched his tears all over the strings, thus enabling him to transcend his own living blues into a music of blues with unprecedented emotional profundity and poetic wisdom. “You want to know how good the blues can get? Well, this is it.”–a question asked and answered by Keith Richards himself. As a consequence of this alleged encounter, Johnson instantly rose to fame playing all kinds of styles in all kinds of places. It is said that for every town where he performed, there was at least one mistress warming the bed for him to spend the night. He traveled a lot and people simply couldn’t get enough of him. 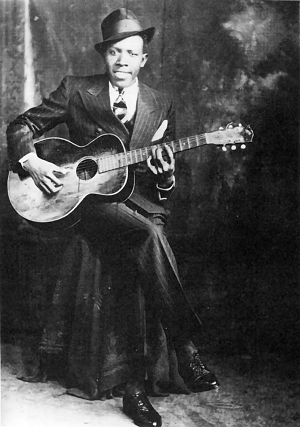 Although he was able to shift from up tempo jazz to slide country swiftly and with relative ease, it was the songs in which his guitar gently wept, the ones he recorded between 1936 and 1937, that brought him stardom and shaped him as a musician of universal relevance, which he is recognized as today. The songs have brought much weight to his legend over the years. However, there is no escaping the Devil’s trickery as he always wins in the end. Johnson died the following year in Greenwood, Mississippi, supposedly poisoned by a jealous husband of one of his mistresses. In a cruel irony, the fame he so sought, in the end, was what killed him. A fine end to a finer legend best suited to represent a modern variant of the Faustian tragedy and perhaps the best way to emphasize the life of a man of which the world knew little about, one that also became an advantage to a record company trying to make a profit after his death. However, the truth could be metaphorically simplified to a story about a boy born in 1911, stuck standing at a crossroad at one point in his life; one road pointing to his struggling mother at home and him by her side living the life she had, and the other pointing towards learning a craft and living the life of a touring musician, leaving his mother and everything else behind and surrendering himself fully to the spirit of the blues, playing what people regarded back then as the devil’s music. But then again, it’s usually legends that survive the test of time, and luckily for him, one was built around him, otherwise, his songs and legacy might have been lost forever. Anyhow, if he ever did strike a deal with the Devil, which given common sense is highly unlikely, the trickery, after all, was on his side in the end. For his name was not smeared and his soul endured intact, helped by his strings and voice and brilliant songwriting, the very things he supposedly traded it for. 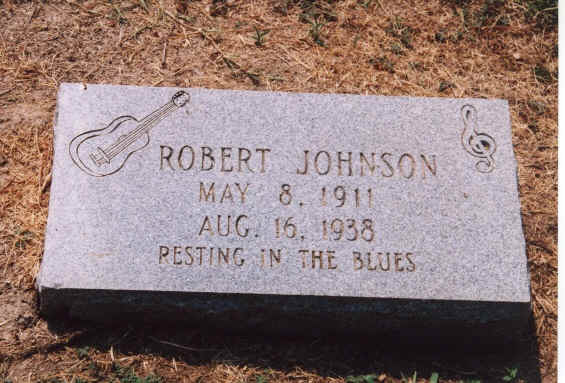 If any were to question his talents, one should just sit down and try to play a Robert Johnson song.